Sweden Foodtech The Big Meet, June 7-8, 2018. EIICA 2018 Conference “Information, Collective Action, and Big Data: Continuity or Revolution?”, organized by the Departments of Philosophy and Information Science of Sao Paulo State University in June 18-22, 2018. 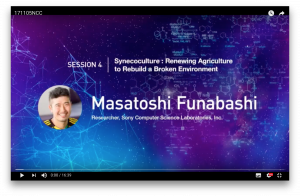 Masa Funabashi presented the synecoculture project at the New Context Conference held on 3-4 Nov 2017 in San Francisco. Masa Funabashi a participé au Colloque de Cerisy: Villes et territoires résilients et a donné une présentation sur la Synécoculture. 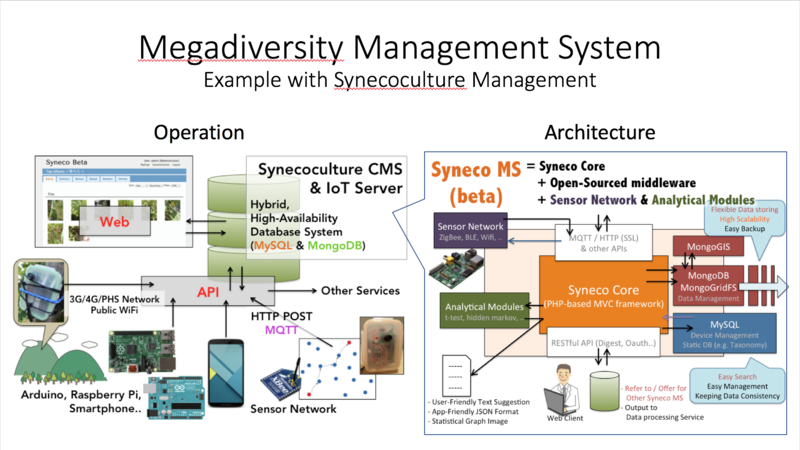 We have a pleasure to announce the release of closed alpha version of Megadiversity Management System (MMS) from Sony CSL. The MMS is an open-source initiative to construct the Content Management System (CMS) coupled with Internet of Things (IoT) extensions. It comprises basic framework and assets to construct your own CMS-IoT. In this alpha release, the assets include original PHP framework “Artichoke” v1.0 that can be used to build the CMS as a server-side web application, and related assets such as IoT sensor scripts (such as for Arduino) and Unity library for augmented reality(AR) interfaces. 1. Build the CMS to store relevant big data of a complex phenomenon. 2. Connect with IoT sensors/actuators for the real-time management of the complex system. 3. Construct machine learning/artificial intelligence with CMS-IoT system during active interaction of the management. This recursive process to construct actively adapting management model is termed as “Open Systems Science” in Sony CSL. 4. Contribute to extend the MMS with your code in order to be used and refined by other multidisciplinary stakeholders under open source initiative. 1. You know the general principle to solve the problem, but the real-world management is difficult because the information required is too diverse and massive to be treated by human alone. 2. Your system is difficult to manage with modelling-based approach, because there is interventions from external environment that frequently change the premise of the model. This is a common situation of the complex system management in open field, and MMS can adopt statistical models based on the machine learning of big data. 3. You do not need sophisticated model but rather want to widen your choice of management based on the past record and relevant databases with assistive technology. 4. 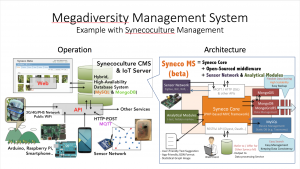 You have an open-source software with analytical modules and you want to connect it with CMS-IoT for real-time big data analysis and management. 5. You are searching for an interactive interface for data acquisition in citizen science with the use of smartphone and/or AR device. We are looking forward to your participation in our future open-source community with megadiverse stakeholders.